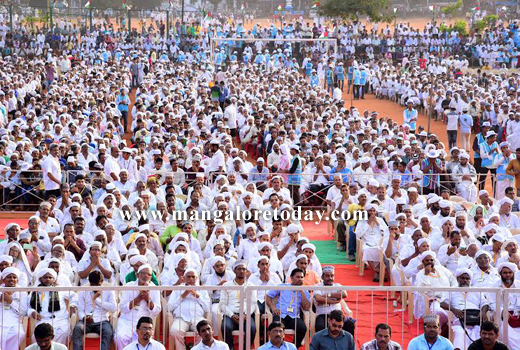 Mangaluru, Dec 14, 2015 : It is the utmost duty of every citizen of this land to protect the secular tradition of India, said Sayyed Hyderali Shihab Tangal Panakkad , Vice President of Samasta Kerala Jamiyyatul Ulema. 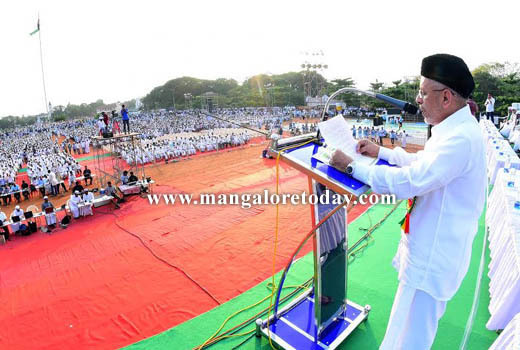 He was speaking after inaugurating the 90th annual conference of the Samastha Kerala Jamiyyatul Ulema at the Nehru Maidan here on December 13, Sunday. Strongly deploring the rising communalism and terror activities which are a threat to the tolerant nature of India, he said a society sans any culture has no future. 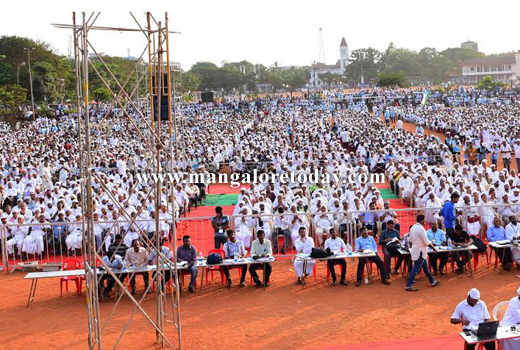 The society can be further strengthened through a religious and educational awareness, he added. Islam propagates peace and humanitarian values. terror outfits like ISIS have nothing to do with Islam, he clarified. Sayyed Mohammad Jifri Muttukoya Tangal offered the Duwa. 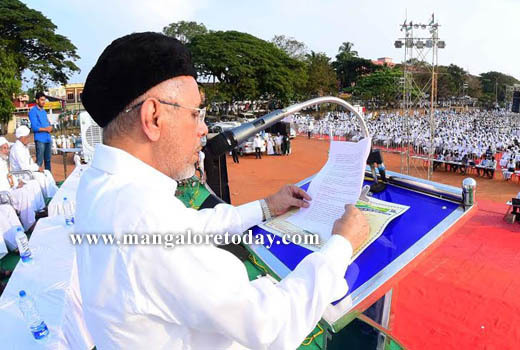 Shaikuna Zainul Ulema Zainuddin Musliyar presided over the function. 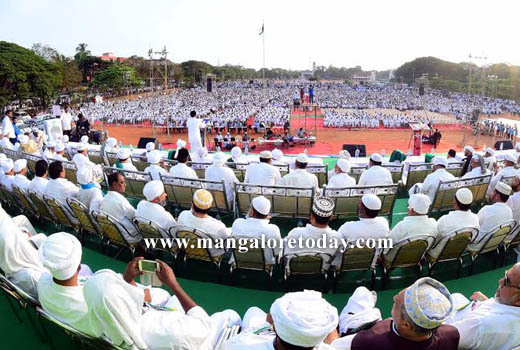 DK District in-charge Minister B Ramanatha Rai, Mangaluru North MLA Moidin Bava, Kasargod MLA NA Nellikunnu, Yenepoya Haji Abdulla Kunhi, Yenepoya Haji Mohammad Kunhi and several other Islamic scholars were present. We should be fixed from mind. No body is born holding any label of a religion. All are human two category boy and girl. Religion created by us and a reason to create rivals. Most of the crime is their names . When they give speech the separate Islam with ISIS but actually they do not do it.Our county is multi religious country. We are the ones creating problem unnecessarily.